Five years ago, 19-year-old Simon Hawkeswell hanged himself in his family home in Warwickshire, England. The reasons behind his choice remain a devastating mystery, and what's worse, not long after his death a wave of "sympathetic" suicides among local teens rocked the community. But that was then. A short-lived, sinister trend that's faded into oblivion. Or so everyone thought. Then - In charge of her little sister at the beach, Claire allowed Eleanor to walk to the shop alone to buy an ice cream. Placing a coin into her hand, Claire told her to be quick, knowing how much she wanted the freedom. Eleanor never came back. 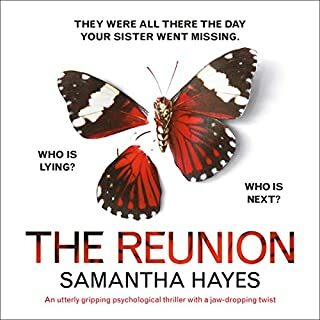 Now - The time has finally come to sell the family farm and Claire is organizing a reunion of her dearest friends, the same friends who were present the day her sister went missing. When another girl disappears, long-buried secrets begin to surface. Naomi and I are best friends. School runs, dog walks, a shoulder to cry on over a glass of wine - we’re inseparable. But now my husband has walked out, I need her more than ever. I know she will help me pick up the pieces. Because she knows about the lie I told to protect her. She knows how much I’ve sacrificed for this friendship. And she’d never let anyone hurt me. Would she? Everyone lies...but some lies are deadly. For Claire Daniels, life is good. She has everything she’s ever wanted - a career she loves, friends she can rely on and a husband who dotes on her. All she needs is to start a family of her own and things will be even better than good. They’ll be perfect. Everyone has secrets, and Rachel Holloway is no exception. She’s worked hard to keep the past where it belongs: dead and buried. And so far, she’s been very successful. But now the small newspaper where she works wants to produce a podcast on a cold case: the disappearance 12 years ago of young Molly Forster. 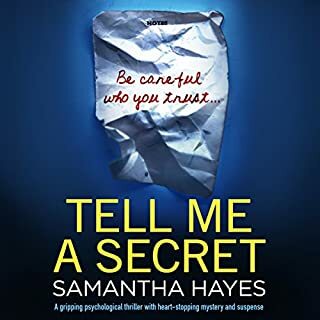 Some secrets should never see the light of day, and, as far as Rachel is concerned, whatever happened to little Molly is one of them. We all know someone like Becca. She has the job everyone wants, a designer wardrobe, a hot-shot lawyer boyfriend, holidays to exotic locations. And she flaunts her perfect life all over social media. It drove her colleague Lizzie mad, but she couldn't stop looking. They were never really friends - and yet Lizzie knew everything about her. Or did she? 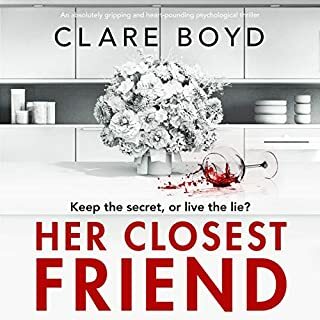 When chance and a terrible mistake pull Lizzie back into Becca's orbit years after they lost touch, she'll realise that you can't always believe what you see online...and that finding out the truth might be the worst thing you can do. You're alone. You're vulnerable. And you have something that someone else wants. At any cost. Claudia Morgan-Brown finally has it all. Pregnant with a much-wanted first baby of her own, she has a happily established family of two small step-sons and a loving husband with a great career. But she is also committed to her full-time job as a social worker, and her husband travels often. So when Claudia hires Zoe to help her around the house in anticipation of the baby’s arrival, it seems like the answer to her prayers. But despite Zoe's glowing recommendations and instant rapport with the children, there's something about her that Claudia cannot trust. Moreover, there has been a series of violent attacks on pregnant women in the area, and Claudia becomes acutely aware of her vulnerability. With her husband out of town for work and her family far away, who will be there to protect her? And why does she feel unsettled about Zoe? 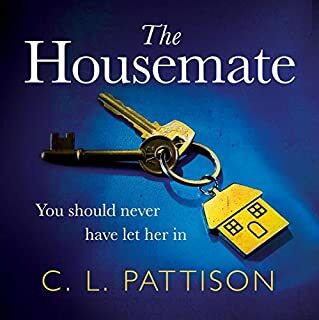 Realizing appearances can be deceiving even in her seemingly perfect world, Claudia digs deeper into Zoe’s blurry past and begins to wonder - how far would someone go to have a child of her own? 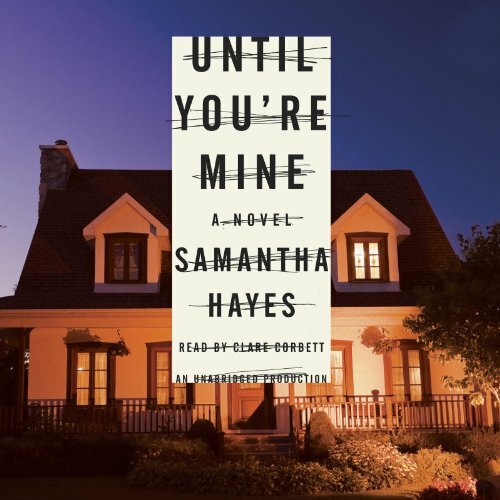 Riveting from the start, Until You’re Mine is a multilayered masterwork of twisted, psychological suspense. Fans of Before I Go to Sleep and Turn of Mind will be enthralled by this multilayered novel, featuring a twisted plot that ends in a breathtaking and shocking finale. I'm about half through -- enjoying individual parts, but the narration makes it very difficult. Narrator Clare Corbett reads all the characters with the same quick, breathless, inflection, and I found -- at one point -- I was deep into "Lorraine's" story -- the detective -- without realizing we'd left Chloe and Zoe, the mother-to-be and the nanny, the two women who are supposed to be at the center of this story. How we got into the police detective's tale I don't really know.... and I've already backtracked twice. I'll just have to figure it out as we go along. And yes, there's another problem too: this is another narrator who doesn't pause between these various segments of the story, which makes it even more difficult to follow. No, I'm not quitting. As I say the various story lines are interesting and compelling enough. I just wish narrators -- who are presumably professionals -- would take the time to make the story more comprehensible, not less. I don't ask for a thousand voices, I can understand the difficulty of that. But surely just a momentary pause -- one second, maybe -- between the ending of one character's story and the beginning of the next isn't asking too much. Is it? Yes,which is a good find for an avid reader.this book had the whole wow I wonder what will happen next thing going for it. The plot thickens at the end. Creepy in general, but if you are pregnant or think you might be you might need a night light on if listening at night! First of all, the same reader plays all parts and throughout the entire book, I could not tell which character's voice was talking which was quite confusing. This lack of clarity continued through much of the book. Secondly, the story was slow getting started and then gradually built to an interesting premise only to lose all credibility as it began to move towards the end. The storyline does keep moving, however, and keeps the reader guessing enough to encourage continued listening. This book had promise with its interesting and mysterious storyline, but it did not deliver overall. I need a storyline to have more credibiity than this one offered. Loved the book and the narrator! A twist you never see coming! Where does Until You're Mine rank among all the audiobooks you’ve listened to so far? Surprised because it was difficult to follow the clues to this ending. It was almost as if the last chapters were thought of suddenly and then the author tried to fit it in the story line. What about Clare Corbett’s performance did you like? I loved it. What a twist! what a bunch of twists! Just goes to show you, you don't know what you think you know. footnote, this writer has such a way with words... the narrator captures the spirit of the characters so intimately. perfect marriage of writer and narrator. What disappointed you about Until You're Mine? Tried to cash in on a couple of other storylines out there. Too similar, been there done that. 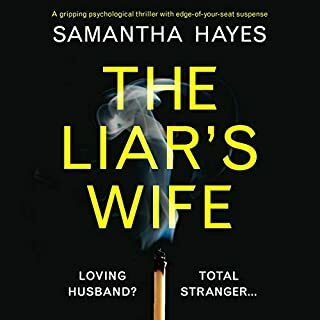 It"s a page turner , with many twists and turns..didn't see what was coming, and want to re-listen with different ears.! Enjoy! No Clue - Loved It! 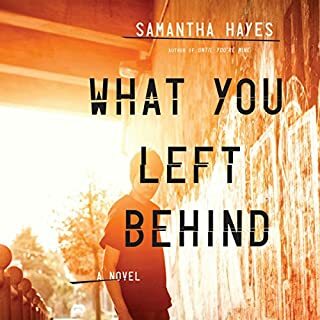 I read between 5 and 8 books a week (listen) and it's gotten harder and harder to be "surprised" by a book; this one, I even had to rewind in parts to believe my ears! Loved it. There were a lot of bad reviews but this book was great to me! Give it a chance! !